1. 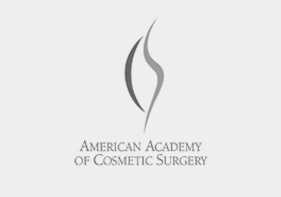 How does my skin elasticity affect the results of liposuction? The appearance of skin after liposuction depends on the skin’s elasticity. Skin with good elasticity should look smooth and natural after liposuction. Even with poor skin elasticity, the skin usually looks good after liposuction. Younger people generally have better skin elasticity than older people. People who have previously been obese and subsequently lost a great deal of weight will have less skin elasticity than someone who has never been obese. 2. I am older and don’t have much skin elasticity, can liposuction still work? With poor elasticity, liposuction in some areas of the body (such as the inner thighs or upper abdomen) may show some degree of skin wrinkling. The degree of wrinkling after liposuction is approximately the same as one might expect if the patient had lost the same amount of fat from the area by dieting. Even with poor skin elasticity, the cosmetic benefits of liposuction often outweigh any noticeable increase in skin wrinkling. 3. How does liposuction affect the appearance of the skin? The usual degree of skin change seen after liposuction is the same change that one would see if it were possible to lose an equal amount of fat in these localized areas simply by dieting. Liposuction cannulas make small tunnels in the fat, and leave multiple attachments between the skin and the underlying muscle tissue. These fibrous connections contract during the healing process and maintain the skin in its natural position. In patients who have good skin elasticity, tumescent liposuction generally does not result in excessive folds of skin. 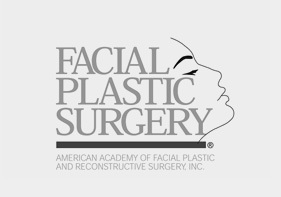 Liposuction generally does not cause the skin to appear more wrinkled. Liposuction can often significantly improve folds of fat and skin on the back below the bra. Pre-existing wrinkles on the inner thighs and upper abdomen are generally not made worse or improved by liposuction. 4. Can liposuction improve sagging abdominal skin? Liposuction dramatically improves the appearance of the abdomen in the vast majority of women. By removing the heavy fat that causes abdominal sagginess, liposuction allows the skin’s natural elasticity to retract and elevate the skin. In order for liposuction to improve abdominal sagginess the skin must have some elasticity and there must be some subcutaneous abdominal fat that can be removed by liposuction. Only in relativity few cases, where the skin has little or no elasticity and little or no subcutaneous fat, liposuction cannot improve a sagging abdomen. 5. Is the skin different on the upper and lower abdomen? The skin of the lower abdomen and that of the upper abdomen appear to behave differently following liposuction. In older patients, the lower abdominal skin may appear smoother than the skin of the upper abdomen after liposuction. This difference in appearance after liposuction is attributable to 1) differences between the contractile properties of the subcutaneous fat of the lower and upper abdomen, and 2) differences in flexibility of the spinal column (back bone) at different levels. The subcutaneous fat of the lower abdomen contracts so well because it contains Scarpa’s facsia, a unique membrane with elastic properties. Scarps’s facsia is a single layer that extends through the lower abdominal fat from the umbilicus (belly button) to the pubic area and from hip bone to hip bone. Even if the lower abdomen has an apron of fat that hangs over the pubic area, liposuction of the lower abdomen usually produces dramatic improvements as a result of the excellent contraction of the subcutaneous tissue and skin of the lower abdomen. Because the backbone is more flexible at the level of the upper abdomen, creases and folds tend to appear in the upper abdominal skin when the patient bends forward. Such folds in the upper abdominal skin are more apparent after liposuction and in older patients. 6. How much scarring can I expect? 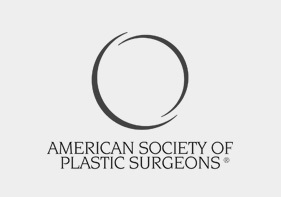 Scars with liposuction can occur, but it is usually minimal. One of the most attractive features of liposuction is that the incisions are so small and the thus the scars are also quite small. The amount or degree of scarring depends on both the surgeon’s technique and the patient’s genetic or inherited scarring tendency. 7. Does liposuction produce visible scars? Scars are not a common problem with modern liposuction which uses very small cannulas (microcannulas) and thus only very small incision are required. Most liposuction scars fade and disappear with time. 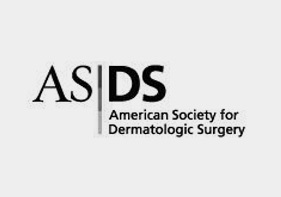 Visible scars are more likely when large liposuction cannulas are used, and in patients who have darkly pigmented skin. 8. What types of scars occur with liposuction? There are two types of marks that can remain on the skin after liposuction. One is a true scar, and the other is known as dyschromia with a dark (hyper-pigmented) or light (hypo-pigmented) spot on the skin. Any incision in the skin can result in a scar. Fortunately most of the scars associated with liposuction are either so small that they become virtually invisible or the scar is strategically located on an area of the body where the scar in not easily seen. 9. Why do incision sites become darkly pigmented in some patients? Any type of injury to the skin can produce inflammation which in turn produces post-inflammatory hyper-pigmentation. An incision, acne pimple, insect bite, or a rash from poison oak can produce post-inflammatory hyper-pigmentation. The darker a patient’s natural pigmentation, the more intense (darker) and more persistent is a spot created by post inflammatory hyper-pigmentation. 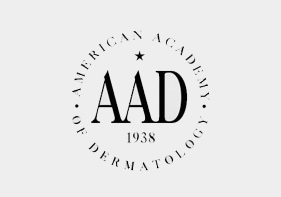 In lightly pigmented skin post-inflammatory hyper-pigmentation usually disappears in less than six months, but in darkly pigmented skin may last for 2 to 4 years or more. 10. What causes hypo-pigmentation or loss of pigmentation at incision sites? Sometimes trauma to an incision site due to excessive friction from the in-and-out movement of the cannula can produce a persistent loss of pigmentation at the sight of the incision. For example, liposuction causes the fatty tissue in that area to become fibrous as a result of scar tissue in the fat. This fibrous scarring of the fat can persist for years. If liposuction is done again in the same area, the fat will be very difficult to penetrate with a liposuction cannula. The extra force and effort, and the extra number of strokes required to do effective liposuction may produce friction injury at the incision site. Such a friction can injure or kill some of the pigment cells surrounding the incision site, which results in a loss of pigment and hypo-pigmentation.